Yes, we know. It’s not even Halloween yet and we are talking about Christmas. Yikes! 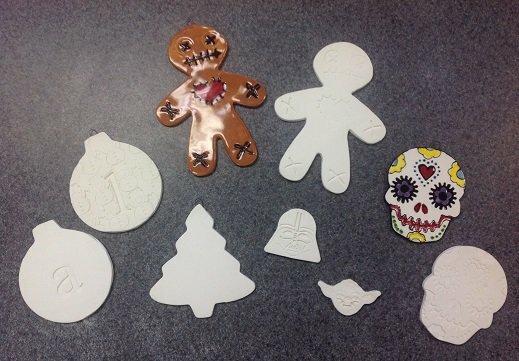 However, it’s never too early to get started on your #handmadeholidays at #ClayCaféStudios. We have tons of ornaments just waiting to be personalized. Our ball ornaments have space for a name and the year. We have monogrammed ornaments from A to Z. There’s hundreds of ornaments, including #StarWars, sugar skulls and emojis. Ball Ornaments are great for adding a child’s hand or footprint. Mugs, plates and platters also make good canvases. Parents, grandparents, aunts and uncles all love a collectible with a baby print. Clay Café staff is always there to help you express your creativity. We’ll even do the lettering for you. 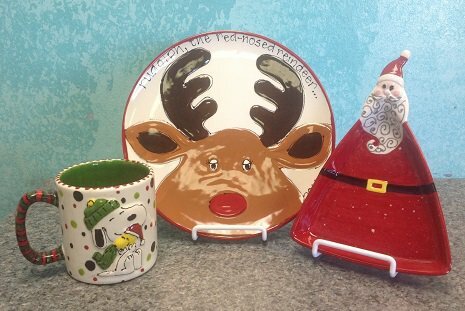 Reindeer platters, gingerbread and snowman plates, and holiday-themed mugs will all put some pizzazz on your holiday table. Don’t forget a “Cookies for Santa” plate! Imagine your holiday table set with your hand-painted masterpieces. Our new lighted Christmas trees are a staff favorite. They come complete with a light kit and colorful lights. 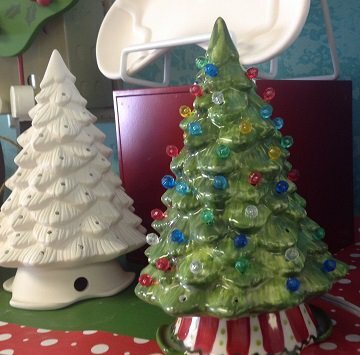 Make a new family heirloom by painting this tree together. 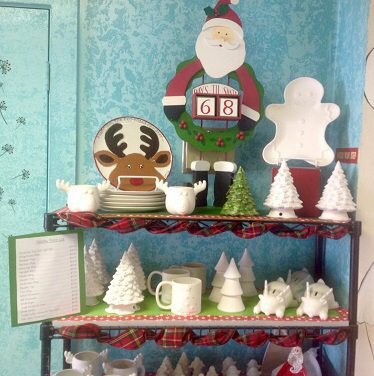 Come in anytime and see our wonderful selection of holiday pottery. We are open every day (but Thanksgiving) until Christmas!